“Cosmos English” started home tuition in Singapore, in 1997. 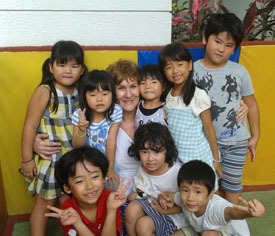 Having spent six years as an English teacher in nature-filled Kyusyu prefecture, I moved to Singapore, teaching students, varying from three-year-olds, to adults. “Cosmos English” conducts a variety of classes, such as Eiken, TOEIC, Business English, converting driving licenses, short-term holiday programmes etc - to cater for individual needs. Recently we have started skype lessons, to brush up English for those who went back to Japan. 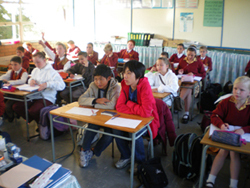 We conduct both individual and group lessons. We visit South Africa as part of one of our summer programmes. Our students can have an opportunity to attend a local school and also experience wild animal viewing, when we go on a safari. Through our programme, we hope our students can treasure our mother earth and realise that we too, are part of this wonderful planet. It is easier to go to South Africa from Singapore, than from Japan, as there are direct fights.